There is a lot on offer when you play with the world’s biggest online betting exchange. 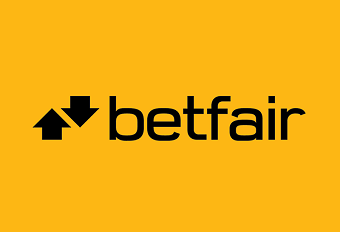 Founded in 2000, Betfair is a UK-based betting company with Sportsbook, Football Jackpots and Bingo, providing many options to suit their members’ style of gambling. But this is a Betfair Casino Review so we’ll be taking you through the variety of games from the newest slots to your favourite table games. There are also plenty of deals, bonuses and promotions to excite new and current players. Betfair Casino sort their many types of games into different categories with handy drop down menus so you can see all the options at a glance. This is sure to take you to what you want to play as quickly as possible. There are a vast variety of slot games, the staple of all online casinos, with many different types such as Free Spin, Bonus Round and Multi as well as slots with a varied number of win lines. All these can be found along a toolbar to take you straight to your favourite. Once you’ve found your style of slot you’ll be able to choose from the cute cartoons to state-of-the-art graphics, from lucky leprechauns to exotic Asian themes. There are also all your favourite DC superheroes such as Green Lantern, Batman and Superman. If you love those big wins head over to the Jackpot section and see which game has the largest prize. If slots aren’t your thing but you love games, head over to the unique Arcade section for Darts, Bowling and Penalty Shoot Out to take you back to nostalgic days. To get the feel of genuine casino games, be sure to check out the table section for all your favourites such as Roulette, Craps and Sic-Bo. The Vegas feeling continues in the Card section with Blackjack, Casino Hold ’em and Pontoon. Many of these games are available in the Live Casino which boasts a number of live tables for their table games including 3 Card Brag and Hi-Lo. They are all manned by live dealers who are ready to take your bets and provide a speedy game in real time. The Video Poker section offers a range of fast-paced poker games such as Jacks or Better, Joker Poker and Aces and Faces for those who love high stakes and skilled gameplay. Are you a casino novice? Unlike many other online casinos, if you want to perfect your game before playing with real money then Befair Casino offers a wide range of games to play for free. The games are powered by online gaming household names such as Playtech, IGT and many others which guarantees the player a variety of games that are always being updated. The website itself is very sleek and easy to navigate with a striking black and yellow motif that really catches the eye. All games are thoroughly tested by Gaming Associates, so players can be sure of a fair and random gameplay. Betfair is available on mobile with a dedicated app for every type of casino game available on the App store and the Play store. As well as the casino app there is also an app for Live Casino, Arcade, Poker and Bingo so you can play any game you want on the go. Betfair has a handy QR code you can scan on the website so downloading the apps is quick and easy. There are always plenty of bonuses to enhance your gameplay at Betfair Casino and it starts right when you sign up. All new customers start with 30 Free Roulette chips with only a 1x wagering requirement on winnings! There is also more than one Welcome Bonus to choose from with the option to claim it on either slots or all casino games. If you choose slots, you will get a whopping 200% deposit bonus up to £400 plus 100 free spins and if you choose all casino games you’ll get a 100% deposit bonus up to £100. The Live Casino also has its own Welcome Bonus with a £200 Bonus plus 5 free Golden Chips to play on Live Roulette. For existing customers, there are always great promotions to take part in which boast some huge winnings. From Betfair Casino there is a whopping £300,000 giveaway on their current Justice League promotion when you play any of their selected DC superhero games. The Live Casino currently has £100,000 cash cases up for grabs when you play their branded Blackjack and Roulette tables. Like any promotion in any online casino, you want to get full enjoyment within the rules to get the maximum benefit. Make sure you read the all terms and conditions before participating so there are no surprises down the line and you fully understand the limitations. As well as being able to pay with your debit and credit card, with Betfair Casino you can use a number of different secure e-wallets to deposit and withdraw cash. These include NETELLER, ClickandBuy, Skrill and PayPal. All of these methods and your personal details are protected by 128-bit SSL encryption technology and all servers are protected by firewalls. Betfair also assure their customer that the servers are physically protected by biometric technology, guards and cameras. If the extensive FAQ section doesn’t resolve your question or an issue arises, Betfair Casino’s support team is always on hand via Live Chat or telephone to answer any query. Response time is typically 30 secs and they aim to have the issue resolved within four hours. Betfair Casino is dedicated to responsible gambling and provides a number of useful tools for all players to use before their gaming becomes a problem. There is the budget calculator and the Betfair diary both of which can help you figure out your limits and keep track of your spending. They also have links to where you can get advice and support for gambling addiction and a tool to block your account for a set amount of time.